Last weekend we were lucky enough to be invited to the world wide premier of a unique pre-school TV programme called Kazoops. 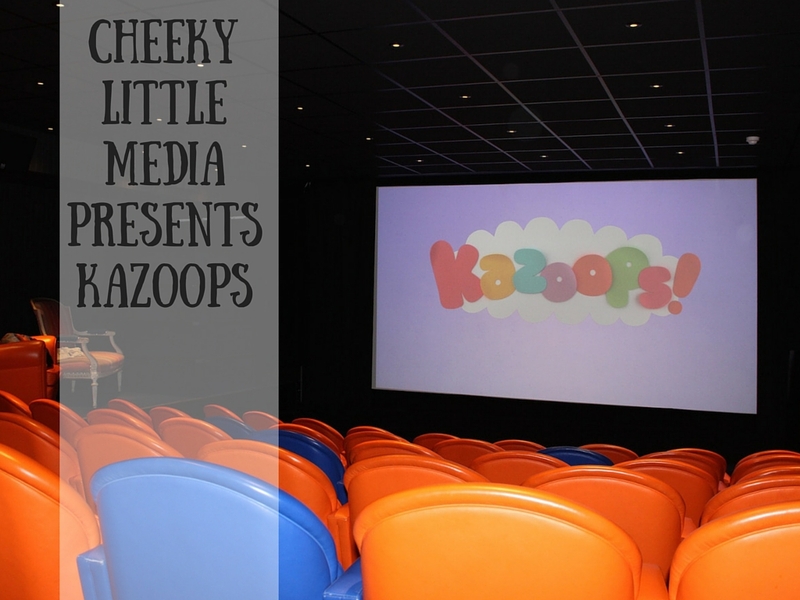 Kazoops is the creation of children’s TV producers Cheeky Little Media, the team behind the show have a dream… to change the way children view the world. The question is did any of the three episodes we saw do just that? The main characters of the series are a six year old boy called Monty and Jimmy Jones the family pet pig. Its difficult not to fall in love with them, Monkey declared Monty his favourite right from the off. Although he wouldn’t pose to have his photo taken with the actor behind Monty’s voice. I think he was a little confused by the whole idea that there was a real live boy behind the animation! Before we sat down the watch the three episodes Monkey had great fun taking part in some of the activities which had been set up. 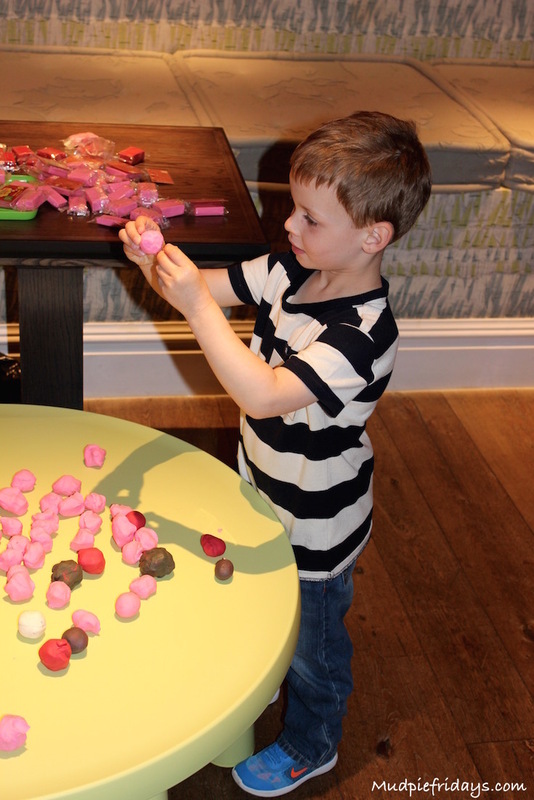 He gravitated towards the plasticine straight away and made his very own Jimmy Jones. 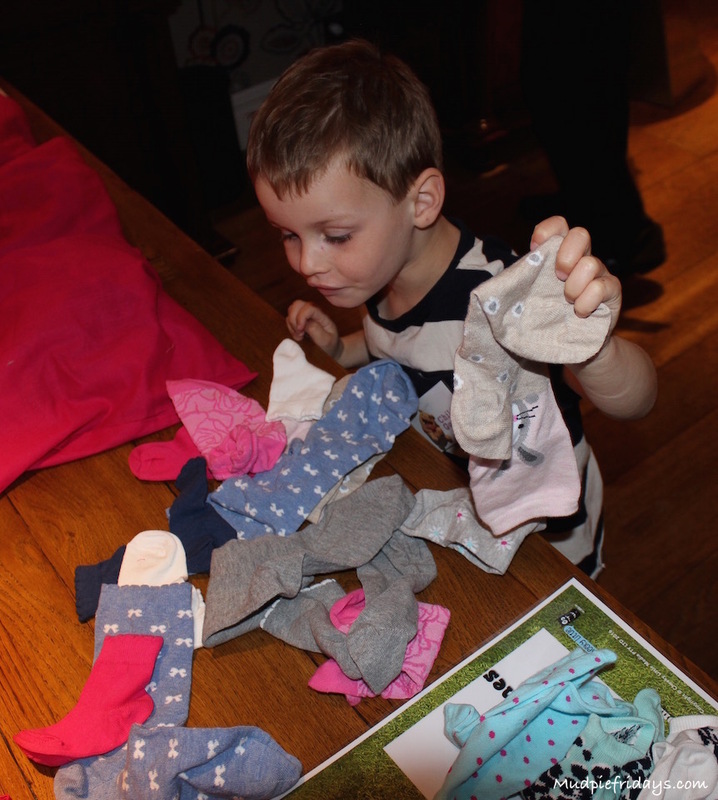 Then he took part in a game where he needed to match socks in a bag, if he identified the correct odd sock then he won a prize. At the time he was doing this it did strike me as a little odd, after all what did odd socks have to do with a new kids TV programme? Probably something you may have asked yourself if you had seen my photos on social media. Well as it turns out quite a bit… In Kazoops Monty uses his vivid imagination to challenge preconceptions about life such as ‘you have to wear matching socks’. This was actually one of the episodes we saw. So what? Well by challenging the preconceptions of society and life he is effectively demonstrating the value of critical thinking and creative play. It definitely rubbed off on Monkey, as we received a pair of odd socks in our little goodie bag. Monkey loved his so much that the following day, he insisted on wearing them to his friends Birthday Party, along with his superhero costume of course! This would suggest that the programme has already started to influence his thinking. However the episode which struck a cord with me the most was one about Monsters. I won’t spoil it for you, but its a subject which is very well timed for us. Monkey moved into his new bedroom before Kipper made and appearance and in so doing so a new big boy bed. Which also happens to be a cabin bed and we have had a few instances of Monsters being in the house, and more specifically under the bed. These pesky monsters have therefore been causing a reasonable amount of upset at bedtime. He’s not alone, I know friends kids have experienced similar issues. Well Monty and Jimmy Jones put a whole new take on monsters, unsurprisingly to us adults, a very positive one. One which I have now been reinforcing with Monkey, its so simple I’m a little annoyed with myself for not having thought of it before. Has it worked? Well at bedtime tonight within five minutes he was out for the count. Now I can’t say that was down to Kazoops, but I do know monsters have not been mentioned since. So in answer to my questions at the beginning, Monkey’s behaviour would definitely suggest that his views are indeed changing. We have seen a couple of adverts for Kazoops since and he has asked that we put the show onto record for him. If you would like to find out more before the launch or for a sneak peak check out the Kazoops page of the CBeebies website. Episode one which challenges the idea that you can only have one best friend is due to air on CBeebies at 4.20pm on Monday 20th June. I know we will be tuning in, I hope you do to. 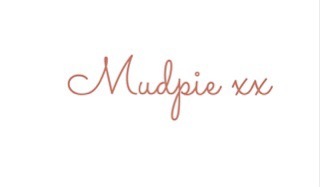 Linking up with PickNMix and TriedTested. This sounds fantastic, I love that they want children to challenge the norms. I’m pleased Monkey seems to have taken to it. I have seen your photos of the odd socks and I wondered what it was all about! Sounds like a great show and event. I’ve recorded a couple of episodes and will see what my eldest thinks of it. That sounds really interesting and a million miles away from the pious moralising of Mother Goose Club.